Video content engages users, and doesn't have to impact your page's performance. These techniques will ensure your video content is optimized. Web page content is a mix of rich HTML, images, videos, and other media types. Multimedia content can add significantly to the overall page size and directly affect web page performance. This doesn’t mean embedding videos is against best practices; all types of page content can be tuned to overcome any negative impact on performance. Optimizing a web page is a critical step in ensuring a satisfactory digital experience, and this process is incomplete if the video content is overlooked. Video content boosts user experience and conversion rates. High-resolution videos are now a staple in web page design, and this translates to heavier web pages. 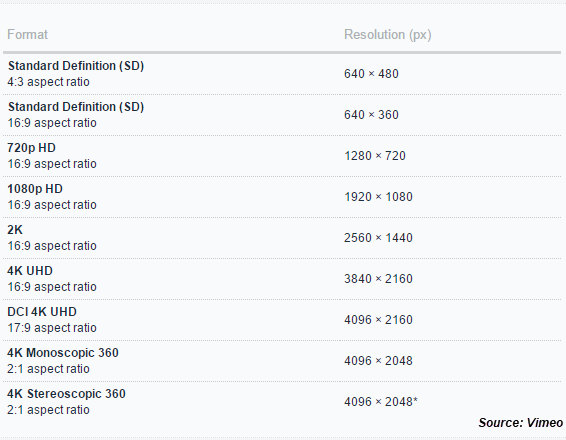 There are a variety video formats available today with each format having its own set of specifications and limitations. Some of the common types of video files used in web pages include WMV, FLV, MOV, WebM, and MP4. MP4 and WebM are the most popular formats and is used across different video sharing platforms like YouTube and Vimeo as the video quality is better than other file types. Another advantage of using MP4 and WebM files is that the size is relatively smaller and it is supported by most browsers. The most basic step in optimizing video is cutting down the file size to make it easier to download and play. A video’s file size depends on the bit rate and other metadata attached to it. Data compression is one of the techniques that can be used to reduce the video file size without losing the video quality. ffMpeg, HandBrake, and MpegStreamclip are some of the compression tools available. These tools restructure the way the pixel data is stored to make the final video optimized and lighter. Several new technologies make use of Adaptive Bitrate Streaming over HTTP to enable streaming; some of these include MPEG-DASH, HTTP Live Streaming (HLS), and HTTP Dynamic Streaming (HDS). All these protocols are designed to stream videos from a regular HTTP server making specialized media delivery servers redundant. The video stream is broken into smaller chunks of different bitrates that are ready for playback; a device trying to view the video file can pick the data stream as needed based on the bandwidth available. The video content on a page must be optimized for mobile devices as the display resolution and size vary across different mobile devices. The video must adjust along with the responsive design of the website; it should also detect the device orientation and display the video accordingly. Embedded videos that are configured to auto-play requires the page to make additional requests for files and resources needed for video playback, this can slow down the page significantly. Deferring videos from loading till after the initial page load has completed frees up bandwidth, allowing the page to load faster. Website designs are more creative and fluid than ever. Multimedia content has become a necessity in engaging users and can improve conversion rates on your website. It also provides a unique digital experience. So, there are more reasons to embed videos on your web page than there are disadvantages. There is no cost to performance if we optimize the page design, pick the right video format, and utilize media delivery providers to handle video processing efficiently.